The United Nations says it learned "with concern" about reports that Venezuelan opposition leader Juan Guaido's chief of staff has been detained, and it renewed a call for all parties "to lower tensions and refrain from any action that could lead to further escalation." U.N. deputy spokesman Farhan Haq issued the appeal Thursday at U.N. headquarters in New York after being asked about Secretary-General Antonio Guterres' reaction to the detention of Roberto Marrero, a key Guaido aide who was detained overnight by Venezuelan intelligence agents. He noted that U.N. human rights chief Michelle Bachelet also expressed concern at Marrero's detention. Haq said the United Nations still believes a dialogue between Guaido and President Nicolas Maduro "is crucial to help the parties step back from the brink of heightened escalation." "No one wants to see the society fall apart in any way, and it's crucial therefore that the leaders engage in dialogue with each other," Haq said. "We have called, of course, on all parties including the security forces to take steps to de-escalate the situation and we are continuing with that call." The International Monetary Fund says it's not ready to make a determination on recognizing opposition leader Juan Guaido as president of Venezuela. IMF spokesman Gerry Rice told reporters at a press conference Thursday: "At this point there is not yet clarity." He also said the IMF continues to monitor the situation "very closely." He says, "Member countries are in the process of establishing their position," and adds: "We are listening carefully." The Inter-American Development Bank was the first international financial organization to recognize Guaido as the legitimate president of the South American country, a stand taken by the U.S. and about 50 other countries that contend Nicolas Maduro's re-election last year was rigged. President Donald Trump's special envoy for Venezuela says he believes Venezuelan authorities are concerned about what the international reaction would be if they try to detain opposition leader Juan Guaido. 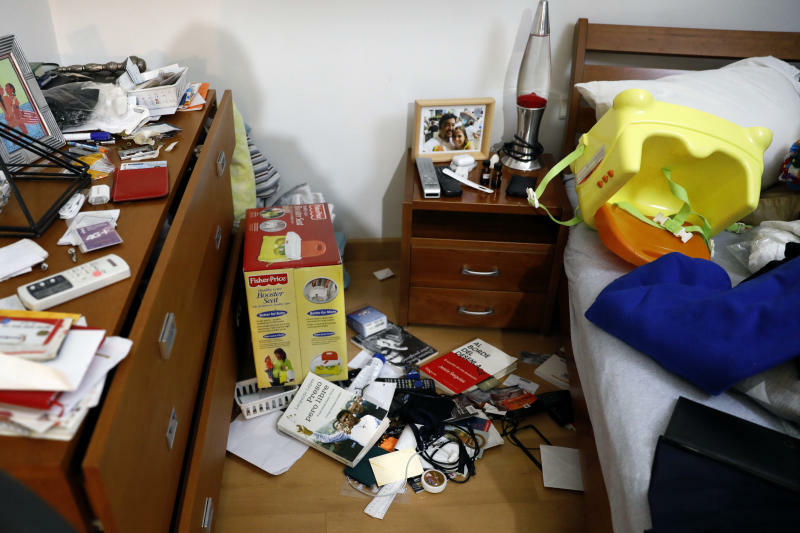 Elliott Abrams said Thursday that he believes the government of President Nicolas Maduro is instead targeting Guaido's aides. Roberto Marrero is a key figure in Gauido's camp and was detained overnight by Venezuelan intelligence agents who raided his home. Abrams says the group of countries that support Guaido must "immediately respond" to Marrero's detention. The U.S. has imposed oil sanctions on Venezuela as well as individuals linked to Maduro, and President Donald Trump has said tougher penalties could occur. 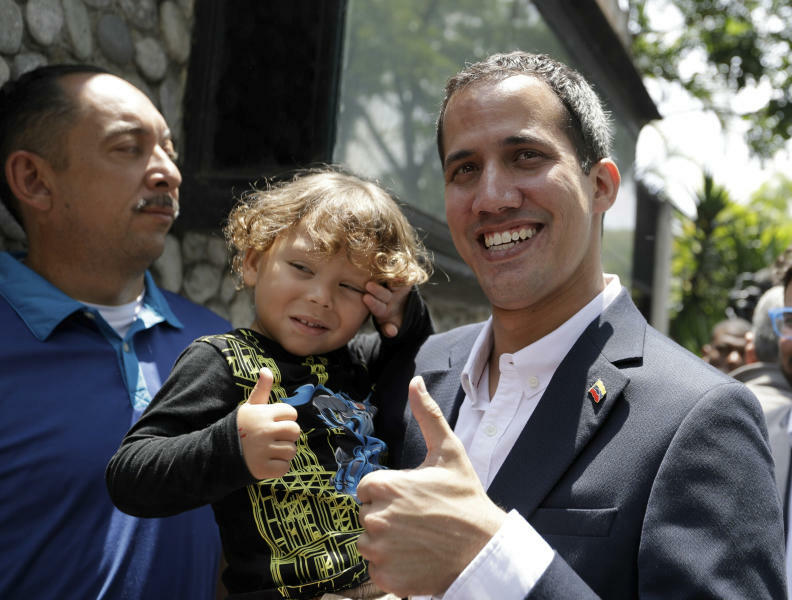 The U.S. and about 50 other countries support Guaido's contention that he is the rightful leader of Venezuela and that Maduro's re-election last year was illegitimate. 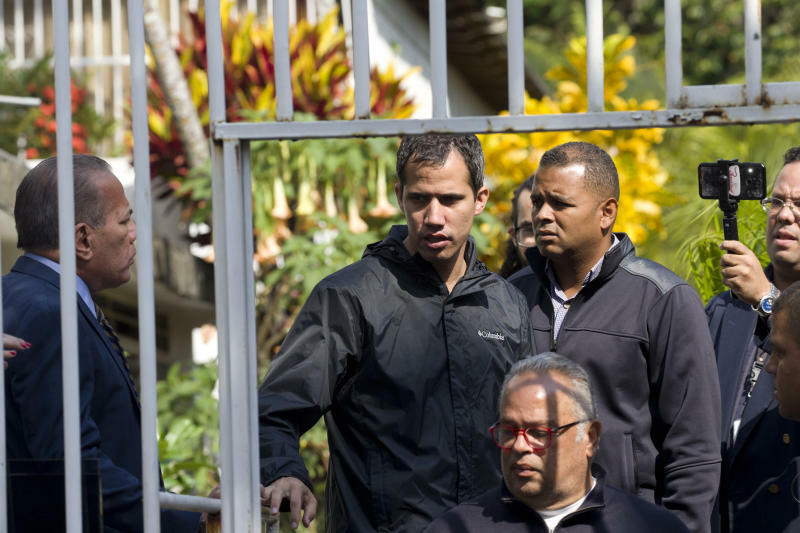 Opposition leader Juan Guaido says the Venezuelan government is weak and doesn't "dare" to detain him. In his words, "Maduro doesn't dare to jail me, or he's not in charge." The Venezuelan government had no immediate comment on Marrero's detention, which represented a sharp increase in police pressure on the opposition after a period of relative calm. Guaido had even said that the government was ignoring him in an attempt to sap the energy of the opposition.